Definition: A silent stroke is a stroke that does not have any outward symptoms associated with stroke, and the patient is typically unaware they have suffered a stroke. It is caused by brain arteries becoming blocked or damaged, thereby disrupting blood flow to the brain and causing cell death. They differ from other strokes because they don’t present any symptoms. Our brain cells need the oxygen that’s carried by our blood. So when a stroke cuts the supply, some of the cells start to die. And that sets off trouble like memory loss, confusion, and numbness on one side our body. While most strokes – especially fatal ones – are major, causing obvious symptoms, many more are very small – so small, their symptoms can pass unnoticed and undiagnosed. These strokes are often referred to as “silent strokes” or “mini-strokes,” and while their initial impact may be relatively minor, over time repeated injury to the brain can result in significant cognitive decline and even death. The risk of silent stroke increases with age but may also affect younger adults. Women appear to be at increased risk for silent stroke, with hypertension and current cigarette smoking being amongst the predisposing factors. Types and Symptoms of Silent Stroke: The most common type of stroke is an ischemic stroke, caused by a blood clot that blocks an artery, limiting or entirely blocking blood flow. Silent strokes are usually ischemic strokes. 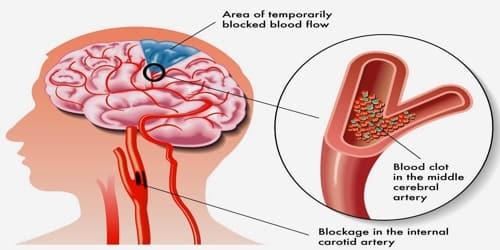 The other main type of stroke is a hemorrhagic stroke caused by a leaking or ruptured artery that causes bleeding in the brain. Lacunar infarcts (LACI) are small (0.2 to 15 mm in diameter) noncortical (does not affect cerebral cortex) infarcts caused by the occlusion of a single penetrating branch of a larger blood vessel that provides blood to the brain’s deep structures including the white matter. LACIs are strongly associated with the development of white matter lesions (WML) which can be detected via the use of computerized tomography (CT scans). Facial drooping is another common stroke symptom, but it’s not typically associated with a silent stroke, where symptoms are more subtle and difficult to detect. Transcranial Doppler ultrasonography (TCD), which measures cerebral blood flow velocity (CBFV) in the large intracranial arteries in the brain, has been shown in various studies to be an effective tool to diagnose children with sickle cell anemia at increased risk of having an initial or recurrent silent stroke. 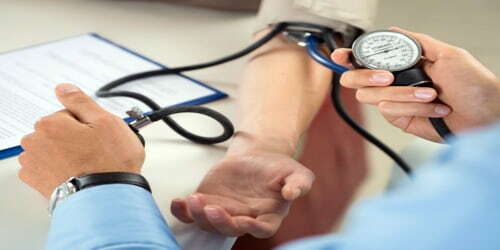 If a person experiences an ischemic stroke, they will probably undergo a series of tests. These can include an electrocardiogram (ECG or EKG) to look for heart abnormalities or blood tests to check for any underlying conditions that may cause symptoms similar to a stroke. Transfusion therapy lowers the risk for a new silent stroke in children who have both abnormal cerebral artery blood flow velocity, as detected by transcranial Doppler, and previous silent infarct, even when the initial MRI showed no abnormality. 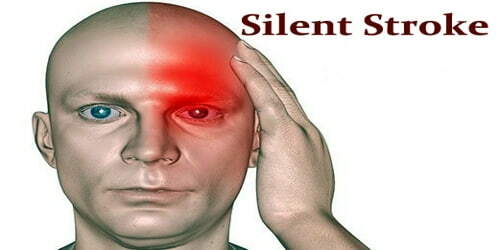 Preventive measures that can be taken to avoid sustaining a silent stroke are the same as for stroke. Smoking cessation is the most immediate step that can be taken, with the effective management of hypertension the major medically treatable factor.